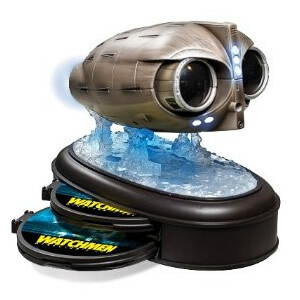 Looking for Watchmen blu-ray and standard DVDs? 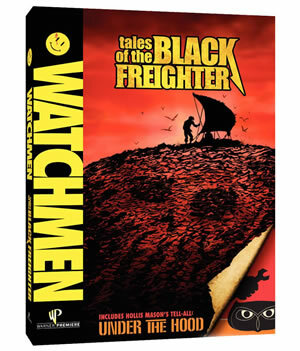 Get the scoop on, and order online, all of the Watchmen movie DVDs and other DVDs like the Watchmen Motion Comics and Tales of the Black Freighter. Watchmen: The Ultimate Edition will be released in the U.S. on November 3, 2009 — a full month earlier and disc shorter than originally promoted. The Ultimate Cut, a fused combination of the director's cut and Tales of the Black Freighter animated comic, is packed onto the first disc along with an all-new audio commentary. Expect to also see lots more of the two Bernies at the NYC newsstand, whose banter usually segues into fragments of the Black Freighter pirate story. 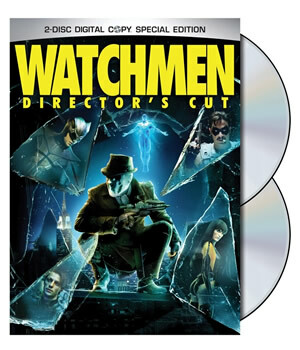 Watchmen: Director’s Cut (2 Disc Special Edition) will be released in the U.S. on July 21, 2009. The Blu-ray Director’s Cut will include “Warner Bros. Maximum Movie Mode,” which will allow for a split-screen viewing of Watchmen, showing both the regular version of the film as well as elements of director Zack Snyder’s on-camera commentary. The Blu-ray release will also include BD-Live and Facebook features which will allow fans to join with their friends for community viewings of the movie during which they can share their comments. More information about the special features can be found in this article on our site. 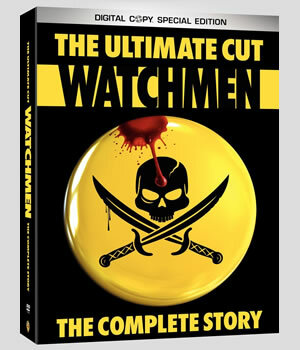 Watchmen: Director’s Cut (3 Disc Amazon Exclusive Nite Owl Ship) will be released in the U.S. on July 21, 2009. So it won't fit meatly in your DVD cabinet — who cares? It's the freakin' Owlship complete with lights and sounds. I’m not sure why this edition comes with three discs as it seems to have all of the same features as the standrad Blu-ray Director’s Cut. However, Disc 1 of this package boasts something called the Interactive “Ultimate Watchmen Experience.” But I get the feeling that it’s just a different name for Warner Bros. Maximum Movie Mode as that item was omitted from the features list. 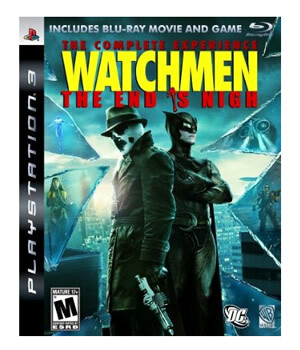 Originally released exclusively as episodic digital downloads, now players on the PlayStation 3 can get get both part one and two of Watchmen: The End is Nigh, along with a copy of the Director's Cut of Watchmen the movie on one Blu-ray disc and exclusive artwork, in the Watchmen: The End is Nigh Complete Experience. A prequel to the events of Watchmen, the games follow the personal struggles and vocational adventures of Nite Owl and Rorschach in their alternate 1970's. The games featuring both single player and a local co-op multiplayer option and offer players the choice of two playable characters: Rorschach and Nite Owl. Watchmen: Theatrical Cut (Single Disc Edition) comes with, well, the theatrical Cut of the Watchmen movie. What else? Well… nothing else. Great, now I have all of this space to fill. Alright, let me try to pad this information as best I can. Watchmen: Theatrical Cut (Single Disc Edition) is 162 minutes long and will be release on July 21, 2009 along with the heftier Director's Cut edition. 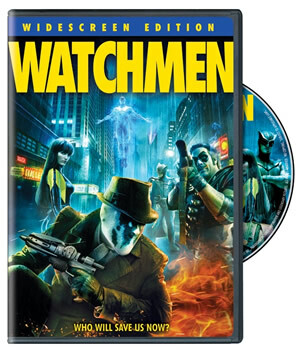 Watchmen: Theatrical Cut (Single Disc Edition) will also be available in Widescreen Edition as well as Fullscreen! Oh boy! Great, I still have lot's of space left. So let me use it to tell you that you should probably buy the Director's Cut. They're in the book. And on this disc. From the director of Watchmen and 300 come two tales from the celebrated graphic novel that do not appear in the extraordinary Watchmen Theatrical Feature. Tales of the Black Freighter (featuring the voice of 300's Gerard Butler) brings to strikingly animated life the novels richly layered story-within-a-story, a daring pirate saga whose turbulent events may mirror those in the Watchmen's world. Stars from the Watchmen movie team in the amazing live-action/CGI Under the Hood, based on Nite Owl's powerful first-hand account of how the hooded adventurers came into existence. Two fan-essential stories. One place to watch the excitement. Watching the Watchmen begins here. The DVD and Blu-ray will also include two special features “Story Within A Story: The Books of Watchmen” and “A First Look at Green Lantern.” The Blu-ray version will have two more special features including “The Two Bernies,” which is a scene from Watchmen not seen in theaters, and “The Why of Watchmen” with director Zack Snyder. Tales of the Black Freighter is rated R for violent and grisly images and runs 26 minutes while Under the Hood is rated PG for mild thematic elements, brief violent and suggestive images and smoking, and it has a running time of 38 minutes. All 12 chapters of the story are here nearly 5 hours spanning everything from the mysterious demise of the Comedian to the crisscrossed destinies of loosely allied superheroes to their fateful impact on the world. Be in the know. Be watching. 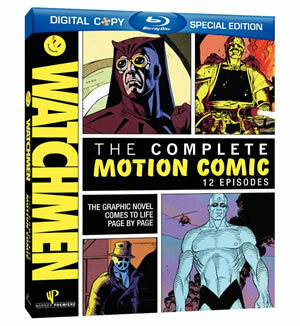 With Watchmen: The Complete Motion Comic. Both the DVD and Blu-ray come with $7.50 in Movie Cash towards seeing Watchmen on the big screen. Also included on both versions is a preview of the upcoming Wonder Woman animated movie. The Blu-ray version will also contain the entire “Prison Break” scene from Watchmen, which you’ll get to see three days before the movie hits theaters.